The Hamilton School Board unanimously selected Paul Mielke, Ph.D., as the district’s new superintendent. Mielke will replace Kathleen Cooke, Ph.D., who announced her retirement in December. Wittenberg-Birnamwood High School English teacher and football coach, 1999-2006. 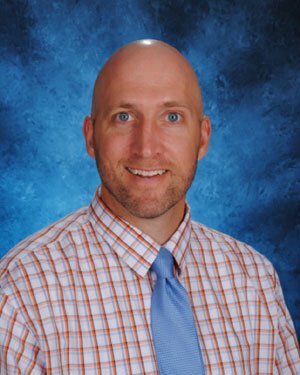 Mielke received his bachelor’s degree from the University of Wisconsin – Oshkosh in 1999 and his master’s degree and doctorate in educational leadership from Cardinal Stritch University in 2005 and 2012, respectively. In preparation for selecting a new superintendent, the district conducted surveys and focus groups with staff, parents, community members and business representative to identify the qualities desired in the new superintendent. After the School Board narrowed the field of candidates to three finalists, groups representing employees and the community provided feedback through observation sheets which were provided to School Board members before they made their selection.